I composed this piece for a concert at Edinburgh International Harp Festival 2016. It is the musical counterpart to my exploration of the desire to belong to a community, and the beginnings of an understanding as to why we humans might crave this. It was composed in East London, a place that's a stark contrast with the remote Scottish Highlands where I spent my early years. Phrenetikos feels like an onomatopoeic word for the feeling I often get from spending lots of time on social media and is the Greek origin of the word frenetic. Review of Phrenetikos by David Francis June 2018. 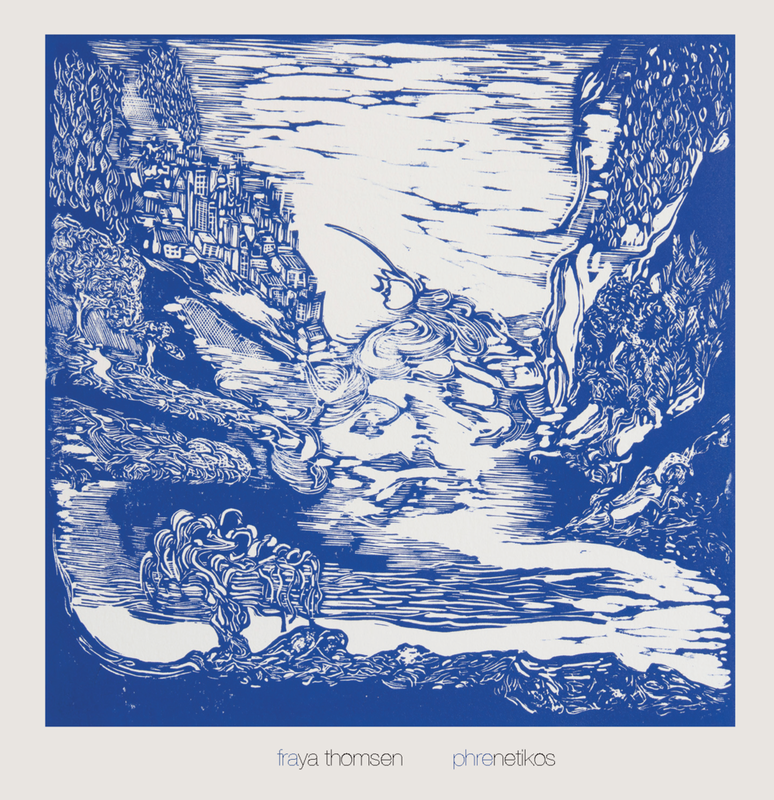 Fraya Thomsen’s first solo release, originally performed at Edinburgh Harp Festival and subsequently recorded in her home studio, is a study in contrasts. Titled Phrenetikos, the Greek word from which we derive ‘frenetic’ and ‘frantic’, the piece is full of oppositions of assonance and dissonance, hard-driving chords and gentle arpeggios, musical metaphors for the age-old contrasts between country and city, hope and anxiety, isolation and integration. The opening section, Expanse, prefigures these oppositions, with an insistent four on the floor pulse overlaid with layers of vocal sounds shot through with a dissonant line. Rapid arpeggios with a wandering bass line and complementary stravaiging high notes echo away as a conventional chord progression, a suggestion perhaps of the comforting simplicities of some traditional music, is disrupted by the high register arpeggios pulling against it. Phrenetikos, as you might expect, is busy, frantic, with repetitive, fiercely struck strummed chords, an mechanical vocal sounds dissolving into dream-like snatches of Gaelic song in the far distance. A 3 against 2 pulse heightens the tension as sweet sounds battle against dissonance. Those snatches of Gaelic song are then foregrounded in the third section, Gun Urra (Anonymously), the lyric accompanied again by repetitive rhythms, but now more relaxed, slightly behind the beat rather than right on it, the rhythms perhaps this time reflecting the organic rhythms of nature rather than the mechanical, harshly imposed rhythms of urban life. A short coda in 6/8 perhaps pre-figures a communal coming together in dancing, but it’s only a tantalising suggestion. The final section, Hope, again with a Gaelic lyric, is accompanied gently with a sense of a peaceful place discovered (or re-discovered). The upward cadences of the breathy vocal this time express hope rather than the anxiety of Expanse. The vocal gives way to a beautiful melody, clearly drawing on the rich tradition of Gaelic song, the fast arpeggios, again in a contrast to the sound-world of Expanse, perhaps more reflective of the flow of a burn than the rush of traffic. In a twist, the final moments of the piece shade off into dissonance again, a suggestion that the reality of the composer’s situation (a Highlander in London) cannot be denied. This is music, beautifully played and skilfully constructed, which draws on the folk music of Highland Scotland and contemporary techniques and motifs to convey a complex psychological moment. I look forward to more from this interesting and thoughtful musician and composer.